I'm hip. I know what's down with the kids. So I know loads about something called Adventure Time; it appears to be a cartoon about a hat wearing boy and his dog? 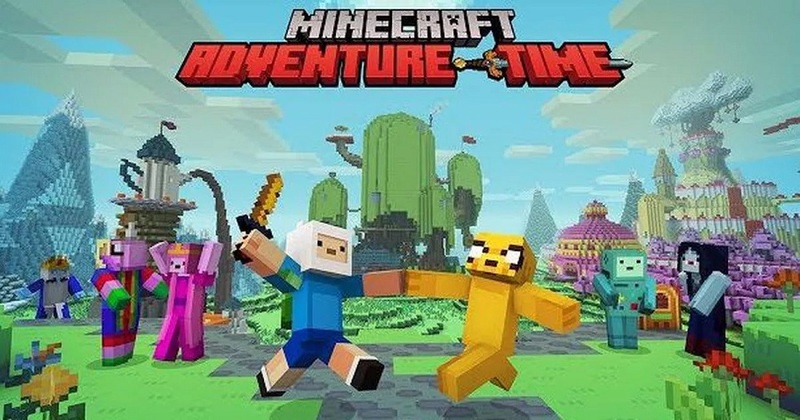 What I do know is that a new Adventure Time DLC pack is coming to console and Windows 10 versions of Minecraft. It's Adventure Time! Join Finn the human and Jake the dog in a Minecraft world like no other. Protect the candy citizens of Ooo from some familiar foes, or run amok in the colourful wonders of the Adventure Time universe! Coming soon to Pocket, Win 10 and console! The pack currently has no release date, but is coming soon!